On Saturday night around 60 people met up at Workshop SF for a transbay pinball pub crawl. I had a feeling this was going to be slightly insane so I signed up, and I’m glad I did. It was a fun time, the weather on both sides of the bay was great and I only had to drive around the block three times to find a parking spot in the city. As Mark, Teresa and Molly demonstrate above, the first order of business was to drink and play some Medieval Madness at Workshop. There was lots of PBR, which was a good thing because we also got this “not for sale” test market swill to drink. It was called “Blast” and it was a fruity malt beverage designed, I think, by prison inmates. It was 12% alcohol and 150% regret by volume. I tried the nuclear blue-colored variety and it started with an otter pop sugary-sweetness with an aftertaste like expired Robitussin. The event organizers spelled out the evening’s shenanigans. First we were headed for Pacific Pinball Museum in Alameda and then back to SF to a couple bars. 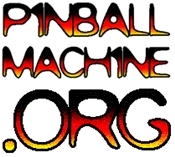 A pinball skills thing was offered and a mini-tournament announced. We all got grab bags with beer coozies. Many innocent beers were killed to make this pinball trophy. Where is the justice? We all got on a yellow school bus circa 1978 and prayed to our respective deities as the bus pulled away from the curb into San Francisco traffic. Fortunately there is no pinball at Coit Tower. Here’s Molly with her awesome Workshop-supplied beer coozie and “spare ammo” in her giant purse/emergency parachute, on the way to the pinball museum. Unfortunately, she made a critical error in judgment by also grabbing a bottle of the re-themed Bum Wine known as Blast. The group piled into Pacific Pinball Museum for a few hours and the tournaments got started. It was a packed house and soon the room with all the modern games was butts to nuts. I signed up for the expert tournament, which was on a really tough Addams Family, and put up a decent score to make it to the next round. Back on the bus to SF around midnight we played pinball bingo. I left my jacket and goody bag which contained my bingo card in the Museum so no bingo for me. The night was still fairly young yet throughout the crowd I could hear the “I love you, man” bromance already ensuing, which indicated the average BAC of the bus was around 4 times the legal limit. Spontaneous group performances of Tiny Dancer and Teenage Wasteland broke out. The bus’ 7-watt speakers were pushed to their limit as they struggled to keep pace. Thankfully, nobody was inspired to do a pinball freestyle rap. I got loves for y’alls. Next stop was Lucky 13. The crowd was insane but manageable. I headed up to the loft for a game of World Cup Soccer for round 2 of the tournament. I haven’t played WCS in awhile and I was starting to feel the booze and couldn’t remember the rules. It was too damn loud for anyone to really give me pointers. The game was in janky shape overall and the flippers were sticky. With what? I don’t ask, and don’t recommend you ponder it too long either. So forget subtlety here. This is smash mouth bar pinball. Hell yeah! The tilt was pretty loose so I employed my “throw it around like a cheap prostitute” strategy to rack up around 500M and a trip to the last round. Then we used our spare time to get in a few casual and split flipper games. Last stop was Elbo Room and the place was freaking packed. There was a line out front and it was already 1 AM so a few people decided to bang out. I still had to play my final game so I muscled through the crowd to the pinball room. Somehow there was confusion at the bar and I ended up with a free whiskey coke on the way. Tim, Andrei (above) and I got a game of the craptastically quirky Viper Night Driving before I had to play my final game. Tim and Andrei are top-ranked tournament veterans but played split-flipper (one guy on each flipper) to give us mere mortals a chance. The final game was on Simpsons Pinball Party. The Garage Door, a main feature of the game, was busted and about the only thing I know on the game is to shoot the Garage to start modes, so what to do? After a couple slap saves with no warnings it was clear the tilt was also super loose so I went for Itchy and Scratchy Multiball. Normally that’s dangerous but since I could throw the game around a bit to save bad shots it worked out and I won the game and the tournament with it. After my win, amid congrats from fellow players, I turned back to my drink but someone had downed it. We got the word the bus was leaving soon so we headed back out to find it surrounded by cops. The story I got was that some dude who was thwacked out of his head insisted that since it was a bus he had a right to get on it, and got pretty non-happy when he was denied. He threw his beer bottle at the bus and cracked the lexan windshield, right in front of the Mission Street Police station. I’m pretty sure that’s cigarette smoke but it might also be souls like near the end of Raiders of the Lost Ark. Anyway, the cops did their thing and then the awards ceremony took place. Pinball enthusiasts, homeless people, drunk bar-goers and police officers were witness to the magnanimous occasion. All in all it was a well-attended awards ceremony. Above, myself and the runner up pose for a pic during the improptu award ceremony in front of the bus/crime scene. Even SFPD was excited and asked what the occasion was. I posed for a picture with the officer and my trophy. I asked one of the cops if he knew that pinball used to be illegal and he said he didn’t know that. I took home the above trophy, a denim Workshop pinball bag and sweatshirt, and The Who’s Tommy record. It was a fun time with lots of really cool people and I hope they think about doing it again. I think they could add some venues that aren’t nearly so insanely crowded and with more games for people to play, but this was a great first effort with lots of enthusiasm. For those that attended and had a good time, I’m putting on a pinball tournament at Pin a Go Go on May 14th for players of all skill levels. Hope to see you all again.